Host a fun and healthy YOGA PARTY in the setting of your choice! Looking for a new theme for your next office or dinner party, bridal shower or birthday?? 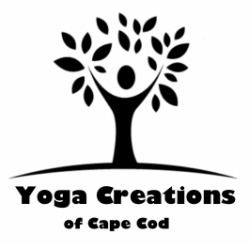 Host a Cape Cod YOGA PARTY! Guests will relax and release stress in a fun, comfortable setting. Everything you need for the yoga practice will be provided for your event: yoga mats (or blankets for beach parties, props and music. No prior yoga experience needed-all levels are welcome! Yoga Party Cape Cod is a fun and unique option for kids birthday parties too! Host your Yoga Party at home, office, yoga studio or Beach! Choose the setting for your YOGA PARTY. The number of guests typically ranges from 4-12 and optimal space required is approximately 3' X 7" per guest. Need a bigger space than your home or office permits? No problem - hold your party at a local studio. As the host you can choose a yoga practice focusing on stretching, strengthening, relaxing or a combination of all! Custom class are available for guests with specific interests or needs i.e. "Yoga for Sailors", "Yoga for Computer Users"...or create your own theme. For more information of the diferent styles of yoga classes visit the FAQ's Page. For pricing information and to book your party contact Linda. ​with yoga inspired decor and delicious, healthy food! Following your yoga practice, treat your guests to foods inspired by a healthy lifestyle. 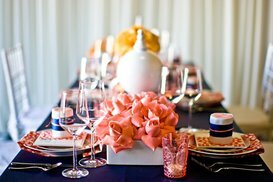 Feel free to ask Linda for party tips and check out my links for yoga themed invitations, decor and recipes. YOGA PARTY Cape Cod rates are $120 locally. There are additional charges for host sites beyond a 20 mile radius of Falmouth central or utilizing a yoga studio space. *A non-refundable deposit $60 is required to hold the date of your party. Contact Linda Dias to book your party today!